While I’m passionate about bringing ideas to life through visual communication, it’s imperative these efforts solve and support specific project & business objectives. My team was tasked with creating the majority of spatial content for Microsoft’s 3D ecosystem. While it was crucial that we made amazing content for a variety of partners, ranging from Office to Paint3D, it was also crucial our efforts could scale to handle the sheer volume of content. In efforts to create a solid foundation I started by: defining creative pipelines, selecting talent and managing day-to-day operations. I designed and implemented scalable creative pipelines to effectively take all types of creative from concept to completion. 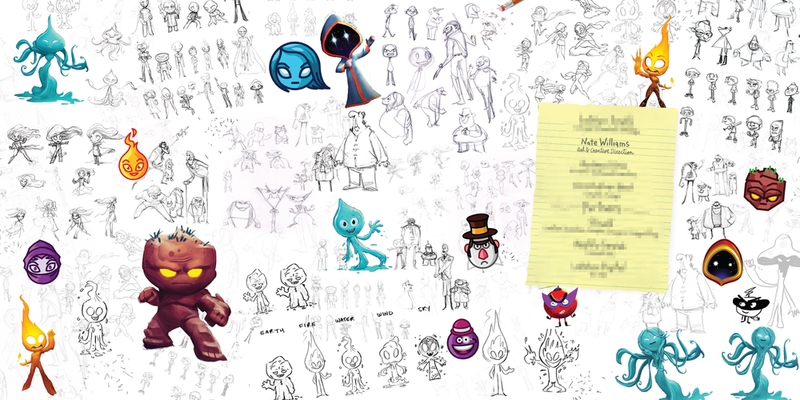 I provided daily art and creative direction to a wide group of talented creatives ranging from concept artists, 3D animators, VFX artists, to visual designers and audio engineers. 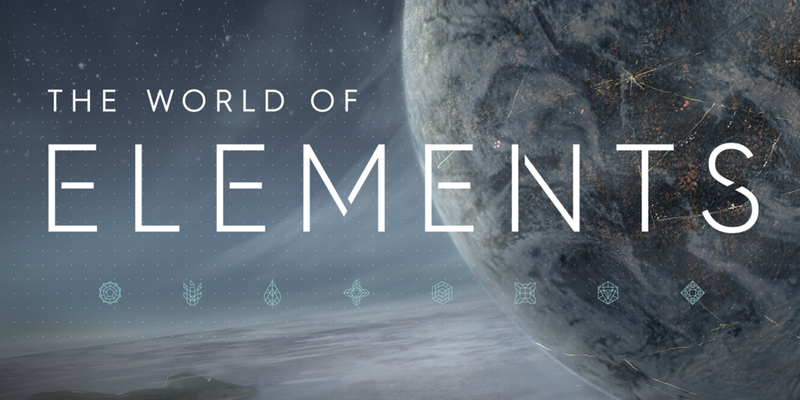 I led the creative development for THE WORLD OF ELEMENTS. This involved visualizing A.I. bots across a variety of mediums ranging from digital interactions and animations to physical objects. It was important for the characters to visually scale to accommodate various form factors ranging from powerful desktop machines to low-end mobile phones with limited visual real-estate. I provided art direction, creative direction and production management for Microsoft's 3D for Everyone initiative. This involved creating a visually and thematically diverse range of 3D models, animations and special effects easily accessible to everyone. 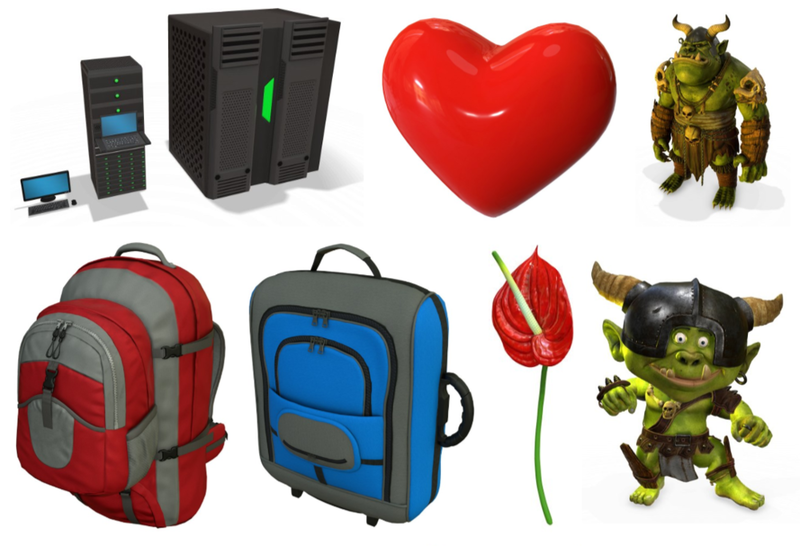 These assets populate the various touch points of Microsoft's 3D ecosystem. I established processes and implemented tools to effectively communicate and manage creative teams and track thousands of assets. Collections had unique business, technical, UX and artistic requirements. 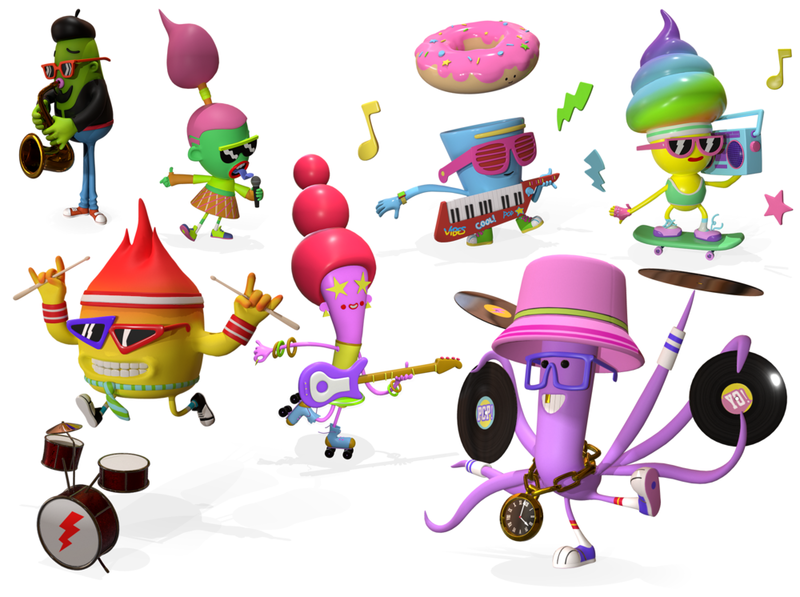 These fun cast of characters was created to facilitate creative play in Paint3D; remix them, paint them, create your own narrative. Several modular collections were created to facilitate "REMIX-ing". Remixing was a fun way to introduce users new to 3D while showcasing Paint 3D's capabilities. Users combined, positioned, scaled, rotated and textured existing assets to make their own unique 3D creations. I oversaw the creative production for a large variety of assets with subject matters ranging from creative play to education and art styles ranging from realistic to highly stylized. In efforts to increase awareness for various initiatives, I art directed and designed several Windows Themes. It's important that assets can be utilized throughout the Microsoft 3D ecosystem. These touch points support a variety of user scenarios utilized by a diverse range of users. Touch points include: Paint 3D, HoloLens, Office, Photos, Mixed Reality Viewer and other undisclosed projects. The school bus can be utilized by a very young audience, but easily adapts to an older Gen-Z audience. Several collections were designed to facilitate specific user scenarios. UR and telemetry was gathered for a variety of subject matters and art styles. Incremental learning informed future collections. This Flat 3D style was a creative solution to address specific technical and user scenario requirements for the target application; e.g. facilitate creative play, enable fast downloads and showcase Paint 3D's texturing capabilities. I defined principles and established a creative framework to facilitate brainstorms. 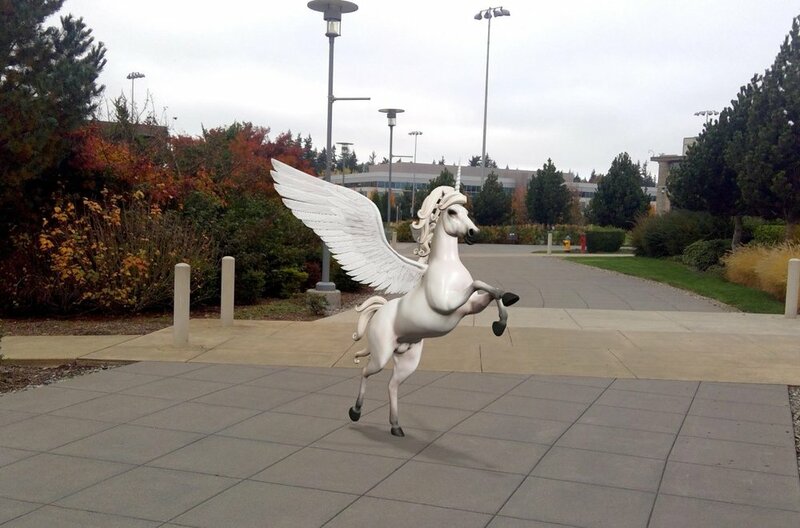 Several AR animations were featured in HoloLens's most popular application Holograms and Microsoft's Mixed Reality Viewer. This "Pug Bubble Gum" animation was based off of one of my children's book ideas. An octopus finds a discarded piece of bubble gum at the bottom of the ocean floor and the adventure begins! Here are a few of my published books. The process can be messy, and the path isn't always well defined, but with a positive solution-oriented attitude, great team, awesome tools and processes, we usually arrive at a good place. Here's a glimpse into the creative development process for a series of augmented animations for Microsoft's Mixed Reality Viewer. "I've been a big fan of Nate's illustrative work for a long time, but recently I had the chance to collaborate with him closer and observed his great skills as Art Director, Nate has an incredible eye for good artistic quality, he is methodic and a sharp idea-man, with strong creative process and solid organizational skills. Besides that, he is also a great team player. Any team will be lucky to have Nate's skills on their side!!" "Nate is a smart and enthusiastic Art Director with a great eye for visuals as well as a great brain for design. When we work together, he regularly contributes to ideas way beyond just art and has demonstrated a willing to go the extra mile to make stuff work. I totally trust that when Nate is on something, it's going to be awesome. On top of his prodigious talent, he's a good person and has managed to work well with everyone he's encountered on our team." I have really enjoyed collaborating with Nate this year on the 3D for everyone program at Microsoft. He leads with kindness, openness, listens to all voices, and provides great insight and feedback to any solutions we are trying to tackle. I'm excited to continue growing our collaboration and evolving our products together! "Nate is a jack of all trades Art Director who can help manage diverse pipelines of artist content and switch up styles, genres, mediums, and underlying art tools at the drop of a hat. As a collaborator, he's a great person to riff with, spinning up new ideas, and then taking them and refining them for artists to begin work. When it comes to overseeing production, his experience has taught me a lot about how to handle directing high volumes of content without getting too bogged down that you become a production bottleneck. As an independent illustrator and creator it is clear that is drive doesn't stop when he heads out the door each day. Combined, I think these are the sort of traits anyone would look for in an Art Director." "Humble and very creative Art Director. It was an amazing experience to work with him in Microsoft, he has a very unique vision through his personal imagination that adds his personal style to every project. He is also a natural leader and a great companion." "Nate has brought a great perspective to the projects we've worked on together. He's great at balancing his contributions as an art director with project constraints and goals. In addition to those skills, he brings a great demeanor and temperament to the fast-moving environment in which we've worked together." "As an Art Director Nate was excellent at communicating his vision while being hands on with his team to lead them to the right outcomes. While working with him, I found him to be passionate about his craft while also being realistic on what could be delivered. He was also super flexible when we had crazy last-minute requests and had a "can-do" attitude that helped us meet numerous deadlines. Nate is a pleasure to work with and would be an asset to any product." “Nate is a pleasure to work with. He communicates very clearly on what he is looking for in a project. Always has a developed clear/creative vision on the project he's involved with. He always gives great feedback/solutions.